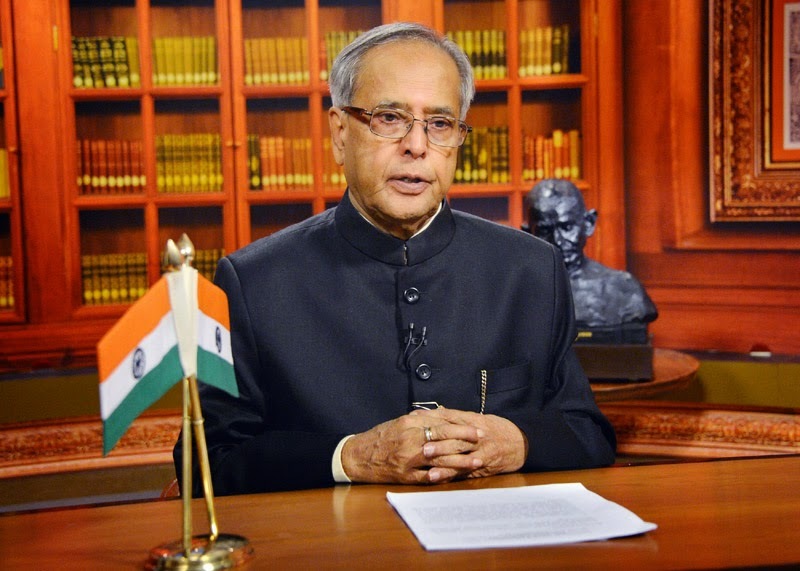 The President of India, Shri Pranab Mukherjee has extended his greetings and felicitations to the Government and people of the People’s Republic of Bangladesh on the eve of the National Day of the People’s Republic of Bangladesh (March 26, 2015). In his message to His Excellency Md. Abdul Hamid, the President of the People’s Republic of Bangladesh, the President has said, “On behalf of the Government and the people of India and on my own behalf, I am pleased to convey to you and to the people of Bangladesh our warm greetings and felicitations on the occasion of your National Day. I recall with great pleasure our meeting during your visit to India in December, 2014. I am confident that the relationship between our two countries would continue to grow and expand to include new areas of cooperation in a mutually beneficial manner”. The Vice President of India Shri M. Hamid Ansari released a book entitled ‘Faces and Places’ by Prof. Deepak Nayyar, noted economist and former Vice Chancellor of Delhi University at a function here today. Addressing on the occasion, the Vice President said that this unique book highlights one more creative face of Prof. Deepak Nayyar who is a renowned economist and has already authored many books on Economy. He congratulated Prof. Nayyar for such a valuable book. The book brings together a selection of the author’s photographs that have been taken over the past four decades. Its title captures the essential idea of its dual theme. The focus is on people in their daily lives and on places that are of interest to visitors. Prime Minister of India, Shri Narendra Modi launched today his ambitious multi-purpose and multi-modal platform PRAGATI (Pro-Active Governance And Timely Implementation). PRAGATI is a unique integrating and interactive platform. The platform is aimed at addressing common man’s grievances, and simultaneously monitoring and reviewing important programmes and projects of the Government of India as well as projects flagged by State Governments. Speaking on the occasion, the Prime Minister said the whole world is now observing India keenly. It is imperative that governance in India becomes more efficient and responsive. He said the PRAGATI platform was a step in this direction. During the first PRAGATI interaction today, the Prime Minister discussed issues relating to unseasonal rain and relief to farmers, public grievances, project implementation, Swachh Bharat and ‘ease of doing business.’ The interaction lasted for two hours. • Two sets of public grievances of more than 20 people relating to (a) payment of Employees Provident Fund of private sector and (b) Income Tax refunds; It was noted that all the grievances had been redressed. Also, the intervention through PRAGATI is leading to system improvement so that such grievances do not arise. • Two issues flagged by States of Uttar Pradesh and Maharashtra, regarding National Highways and clearance for Navi Mumbai airport, respectively. • Six Central Government projects involving more than a dozen Union Government Ministries and thirteen States. It was noted that various actions and permissions relating to projects were pending for several years. Due to PRAGATI, on several issues there was definite progress. In fact, some of the issues were almost finally resolved. A built-in feature of PRAGATI is that these directions will remain in the system for further follow up and review till the finality of the matter. The PRAGATI platform uniquely bundles three latest technologies: Digital data management, video-conferencing and geo-spatial technology. It also offers a unique combination in the direction of cooperative federalism since it brings on one stage the Secretaries of Government of India and the Chief Secretaries of the States. With this, the Prime Minister is able to discuss the issues with the concerned Central and State officials with full information and latest visuals of the ground level situation. Such an effort has never been made in India. It is also an innovative project in e-governance and good governance. Immediately after assuming office, the Prime Minister had shown his keenness to design a credible mechanism for redressal of Public Grievances. He was equally keen to see that programmes and projects launched by the Central and State Government(s) are monitored properly for timely implementation and desired outcome. With that spirit and for holistic development of the country, it was also felt necessary to facilitate from the Union Government level the projects of the States. Accordingly, with the three objectives of: Grievance Redressal, Programme Implementation and Project Monitoring, an IT-based redressal and monitoring system has been designed. It will combine Data Management and Analysis, Geo-spatial Applications as well as Video-conferencing. The application will be accessible to the Secretaries of the Government of India and the State Chief Secretaries. • Now onwards, it will be held once in every month on Fourth Wednesday at 3.30 PM-to be known as PRAGATI Day. • The system will ride on, strengthen and re-engineer the data bases of the CPGRAMS for grievances, Project Monitoring Group (PMG) and the Ministry of Statistics and Programme Implementation. PRAGATI provides an interface and platform for all these three aspects. • The issues flagged are uploaded seven days prior to the PRAGATI day (i.e. on third Wednesday of every month). The system has been designed in-house by the PMO team with the help of National Informatics Center (NIC). As the name suggests, it is aimed at starting a culture of Pro-Active Governance and Timely Implementation. It is also a robust system for bringing e-transparency and e-accountability with real-time presence and exchange among the key stakeholders. The Union Cabinet chaired by the Prime Minister, Shri Narendra Modi, today gave its approval for enactment of Central legislation for declaring 101 additional Inland Waterways as National Waterways (NW) for navigation. This will create a logistic supply chain with intermodal (Rail, Road and Waterways) connectivity. It would positively contribute to the GDP by opening up business opportunities in the area of dredging, barge construction, barge operation, barge repair facilities, terminal construction, terminal operation, storage facilities, providing modern aids to day and night navigation, tourist cruise, consultancy, training of manpower for manning barges, hydrographic survey, etc. Investment in all these business areas will create numerous opportunities for employment and economic development and reduce pressure from the already over-loaded, congested and costlier other surface modes of transport. Detailed business development studies are being carried out under the Jal Marg Vikas Project for identifying all business opportunities and quantifying anticipated investments and employment opportunities. · 1 HP moves 150 kg on road, 500 kg on rail and 4000 kg on water. · 1 litre of fuel moves 24 t-km on road, 85 on rail and 105 on IWT. · Cost of developing waterways is much lower than rail & road. · Reduces transportation and transition losses. · Least fuel consumption per tonne – km. · CO2 emission is 50 percent that of trucks. · Safe mode for hazardous and over dimensional cargo. · Reduces pressure on road and rail. · Reduces congestion and accidents on road. (v) Designated stretches of East Coast Canal, Brahmani river and Mahanadi delta (588 km). Due to very little investment made so far on development of this mode compared globally and to the road and rail modes in the country, IWT mode remains under-developed and its share in overall internal cargo transport remains abysmally low. IWT sector presently has a meagre modal share of 0.4 percent in India compared to 42 percent in Netherlands, 8.7 percent in China and over 8 percent in USA. This is a great economic opportunity loss to the country. On declaration of a waterway as a NW, development and regulation for shipping and navigation by mechanically propelled vessels come under the jurisdiction of Central Government. However, rights over the usage of water, ownership of appurtenant land, minerals, metals, sand etc. continue to be with the State Government. Inland Waterways transport has immense potential for passenger as well as domestic cargo transportation. The Central Government can undertake development of an Inland waterway for navigation, only when it is declared as National Waterways by an Act of Parliament. Therefore, for the development of additional 101 identified waterways for the purpose of navigation, it become necessary that these inland waterways are declared as NW by an Act of Parliament. Government has undertaken a policy for integrated development of inland waterways for navigation purposes. According to the existing provisions, the Central Government can undertake development of an inland waterway for navigation only when it is declared as a National Waterway by an Act of Parliament inline with Entry No. 24 in List I of the 7th Schedule of the Constitution. Keeping in view the urgent need for a supplementary/alternate mode of transport on waterways, such a long waiting period needs to be curtailed. One way of reducing this time period is to declare all the identified waterways as national waterways through a single legislation and enable the Government to undertake development as and when the need arises and preparatory work and funding tie up is complete.